Love your letters, and so much more! 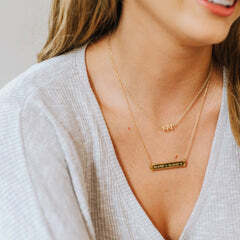 Founded by Greeks, made for Greeks—Nava New York creates collegiate jewelry that celebrates Greek letters. Handmade in New York City, our pieces are inspired by the fashion capital of the world and influenced by sorority sisters just like you. We use precious metals to make accessories that are effortlessly chic. By using high quality materials we can guarantee that your jewelry is made to last—from finals to formals we’ve got you covered. Nava is committed to helping sororities and fraternities achieve their philanthropic goals. Hosting a fundraiser or silent auction? Nava will work with your chapter to donate pieces or gift cards for philanthropic events. By partnering with Nava, your sorority can raise awareness with style. Ever wonder how Nava’s jewelry is made? We’ll give you a sneak peak! We take inspiration from New York City, the latest trends, and sorority sisters all over the country to sketch potential designs. Next our CAD designer creates 3D images of the sketches which are brought to life by the 3D printer to create a wax model. Once we’re happy with our model, the piece is sent to casting where wax becomes metal and a new piece comes to life. 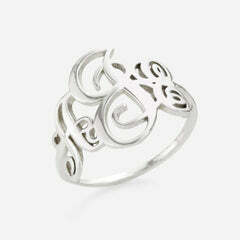 That original piece is then molded so you and your sisters can all match perfectly. 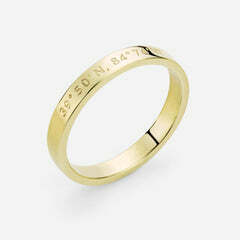 Each piece is personalized and hand-polished to make sure your jewelry is flawless. We carefully package each piece in a jewelry pouch and gift box to keep your letters safe. Phone: 855-300-7641 / M-F 9am - 6 pm EST.